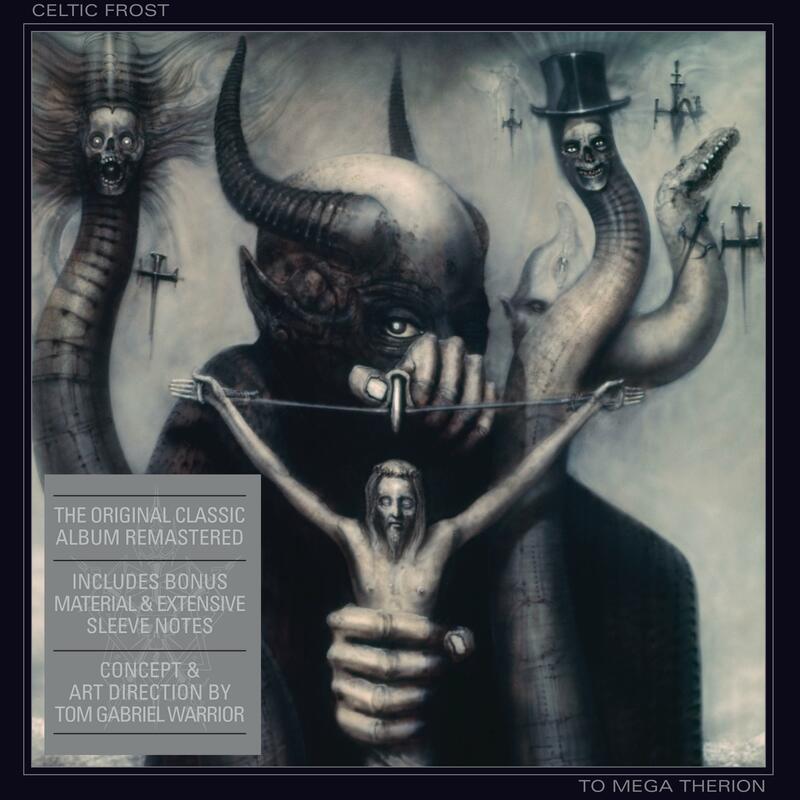 Celtic Frost - "To Mega Therion"
Released in 1985, the band’s second album had an ominous pall of doom and gloom, enmeshed in a sound both primitive yet also Wagnerian in its vast scope. Many claim this was a massive inspiration for black metal bands later in the decade. In truth, though, none matched what was here. This release includes the ‘Emperor’s Return’ EP as well as a remix of Visual Aggression, and the concept and art direction of the release was done by the man behind Celtic Frost, Tom G. Warrior. Both the LP and CD versions include new sleevenotes and extensive booklets.